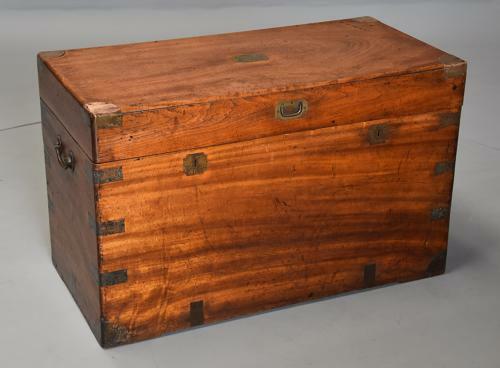 The camphor wood trunk consists of brass trim, a plain brass plate to the top, recessed handle, carrying handles and double lock plates to the front. The top opens to reveal a candle box to the interior, also having the camphor scent when the top is opened which is good for keeping moths away so is ideal for clothes storage. This trunk is in excellent original condition for age, is of stable construction and can go straight into a home - it would make an ideal coffee table or great for general storage too.